Okay. 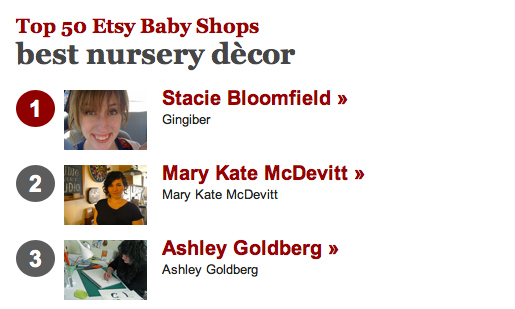 I've stopped hyperventilating with happiness long enough to share with you all that my shop, Gingiber, has been named the #1 Etsy Shop for Nursery Decor by Babble.com (read it here)!!!!!!!! To be listed next to artists that I have long admired such as Ashley Goldberg, Candace Todd, and Blanca Gomez pretty much has made my day year millennium! All I can say is thank you to the fabulous editors at Babble who found me worthy of this honor. 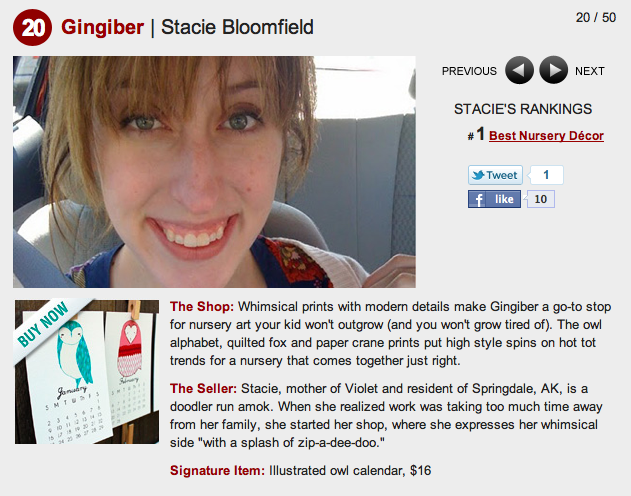 I am so unbelievable humbled, and so much more driven to create meaningful, smart artwork for nurseries. I am chasing a dream, people, and I feel like today a bit of my dream came true!